What is a Saffordite Stone? Have you ever felt the magic of holding something rare in your hands? Something that looks common from the outside yet possesses great power and light. Let me introduce you to the Saffordite. First, Saffordites are pretty rare, found in Arizona in about a hundred-mile radius and finding them are always few and far between. There is some debate about if the stone is a tektite (coming from outer space) or if it is from a terrestrial origin (volcanic). Most lean towards them coming from a tektite. Yet others suggest it is weathered Obsidian. 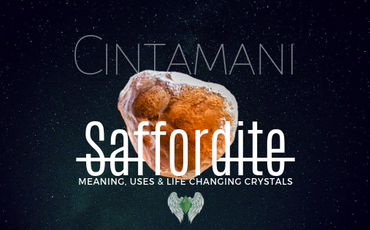 Saffordites have earned a lot of nicknames and are often called, the holy grail stone, the wish-fulfilling stone, or Cintamani. Cintamani itself is translated as meaning, “thought-gem” or “wishing stone.” Saffordites when seen with the naked eye look like a common brown coloured stone. Looking closer though this stone has tiny moon-like craters and dimples. When held up to the sun it changes to lavender or grey-green opaqueness. Moreover, when held up to a flashlight, they blaze fiery orange to bright yellow and become nearly transparent, showing lines and dimples within the rock. When this occurs you are holding a glowing stone with high vibrational energy and can physically sense the energy it possesses, it definitely feels charged up and warm. Radiating loving grounding energy. Being spiritually focused I wanted to understand the Metaphysical properties of Saffordites and how I could use them in my life. Like many people, I carry around my stones to help raise my own personal vibrational levels. Some people even just use these as good luck charms or hold them when feeling stressed. I learned that stones like the Saffordite carry a very high vibrational level which so happens to help us move forward in life as they have a love grounding energy, that helps unravel the many layers of our outer shell and helps our inner truest form prevail. That was what draws me to this stone. Being true to my inner being is so much more important to the external facades we often wear. As a philosophers stone, the Chintamani stone converts the vibrations that it is fed into new vibrations of love, light, and grace. "With love all things are possible" and so the Saffordite is also called the wish-fulfilling stone. One user reports that burying the stone "can create a vortex of energy that creates boundaries against negative or undesired forces." Keeping the stone available and with you helps you create positivity in the world and reduce the bombardment of negativity that surrounds us. The important thing is the Saffordite operates off of your intentions for it. When we feed it, love, it magnifies that love. Whatever we feed the stone it becomes that and magnifies it. So it can help to bring abundance and prosperity to your self and others. Metaphysically Saffordites are said to be the most powerful gemstones yet discovered, even more, powerful than Moldavites. Yet the Moldavite and Saffordite together are the stones of reunion they belong together. Saffordite being the female counterpart. If you are looking for love, light, and grace the Saffordite Stone is the place to start. Azeztulite - What is It? 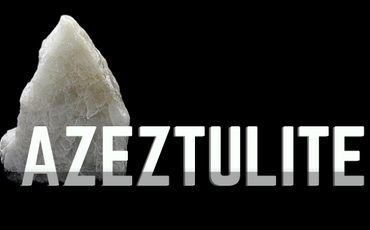 Discover Azeztulite and all of its beauty and wonders it provides in the universe. Learn how these mystical stones can transform your life and open your third eye. 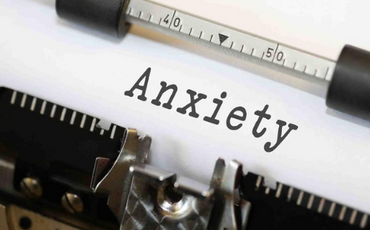 Read our article on self healing anxiety with crystals and breathing techniques...With so much constant conflict, drama and stimulation, reveals more reason than not to be anxious. Click to find out more about crystals and how they could help empower you. 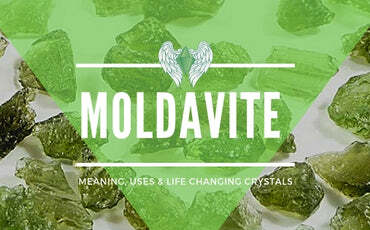 Moldavite – Meanings, Uses and Life-altering capabilities. See beyond the ordinary to become extraordinary. Moldavite is a mysterious tektite with a strong frequency of energy to enlighten your spiritual and personal evolution. A Crystal full of wonders and magic which can help you balance chakras and empower you with a new look on life.